Faith and Hope were born at 33 weeks and both initially required care in the Neonatal Intensive Care Unit (NICU). Ironically Hope, the smaller twin that we worried about throughout the pregnancy, turned out to have no major problems. She stayed in the NICU mainly to learn to feed and to grow. Faith, on the other hand, initially required the help of a ventilator to breathe. After a rocky start, Faith eventually came off the ventilator and both babies were able to go home after 3 weeks. Not every set of twins will require care in the NICU. 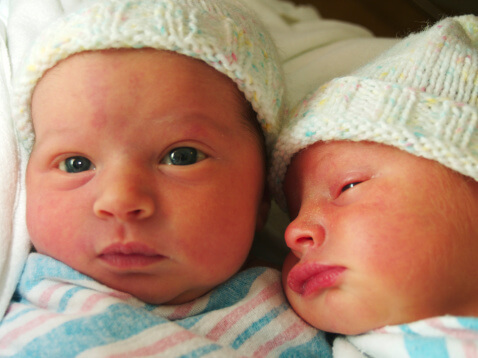 However, because the average gestational age for twins is 35 weeks (and even less for high order multiples), many multiples do make a pit stop in the NICU before going home. The NICU is a high-tech hospital unit with doctors, nurses, and medical staff who specialize in caring for sick and premature newborn babies. It’s normal for parents to initially feel a sense of powerlessness in the NICU. After months of being the sole provider and lifeline for their babies, mothers may feel helpless in a setting where babies are cared for by medical staff twenty-four hours a day. Visit them whenever you can. Remember that your babies know your voice from the time they spent with you in the womb. Even if they are too sick to hold, you can gently hold their hand and softly speak to them. Let them know you are there and love them. Pump breast milk. Breast milk is the perfect food source for babies and should be used if at all possible. Especially in the first days after birth, breast milk is rich in antibodies—proteins that help babies ward off infection. These antibodies are not available in formula. Educate yourself.Use this time to ask questions and to read up on caring for your babies at home. Ask to help.Ask your bedside nurse how you can help care for your babies. Your nurse will engage you in their care through activities such as feeding and changing them. Make something. If you crochet or knit, you can make your babies blankets, booties, or hats. You can write them a card expressing your love, create a photo collage of your family, or sew them a quilt to put over their incubator. Put your energies into making something for your babies. It will serve as a wonderful keepsake for them in the future—a reminder of your outpouring of love for them through a challenging time in their lives. 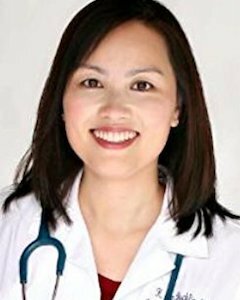 Khanh-Van Le-Bucklin, is Dr.Greene.com’s senior medical content editor. She is an academic pediatrician with over 15 years of experience in health education. A twins health and parenting expert, she is the founder of Twinsdoctor.com and author of Twins 101: 50 Must-have Tips for Pregnancy through Early Childhood from Doctor M.O.M.